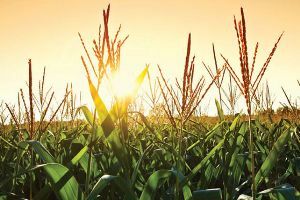 After historic drought conditions stretched across most of the Midwest last summer, affecting crop production, a very wet 2013 spring has hampered crop planting in Illinois, according to an article from the Rockford Register Star. In fact, a recent Illinois State Weather Survey indicates April was the fourth wettest on record, with 6.90 inches of rain, well above the long-term average of 3.77 inches for the month. To put this into perspective, April’s rainfall total is greater than combined statewide rainfall totals for Illinois in May, June, and July of 2012, which only saw 5.78 inches of rain during those three months. Rainfall across Illinois has slowed crop planting production, as April was one of the wettest months on record. Farmers are still trying to catch up to historic averages after a delayed start to 2013 planting as a result of the rains.